A complete nectar food for loris, lorikeets and other brush tongues. A complete food with great palatability. 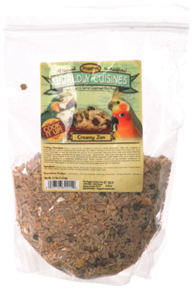 Contains all the key vitamins and minerals which The Birdcare Company is renowned for. Complete Nectar Food for Loris, Lorikeets and other brush tongue parrots - does not separate! Golden Tropic Lori Nectar is a complete food with great palatability that contains all the vitamin and mineral expertise that is the hallmark of Birdcare Company products. In trials we found that because of its complete formulation, birds were eating between 25-50% less of Golden Tropic than any other nectar food, either formulated or home-made, with no loss of weight or condition which means great savings for you. With the reduced intake, it also means less messy droppings. If you wish, Golden Tropic Lori Nectar can be fed thicker than described in the application rate or even dry, as long as fresh drinking water is always available. The less water you put in the formulation, the less messy the droppings will be. 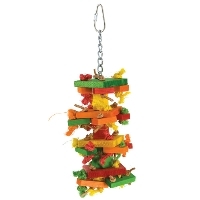 Key Features: Ideal as an all year round diet for Loris, Lorikeets and other brush tongue parrots. Application: Dissolve in water at the rate of 50g powder to 180mls water. Active Constituents per kg: Vitamin A - 12,500, vitamin D3 - 1500ius, vitamin E - 30ius. Also includes Vitamin K, Niacin, Pantothenic Acid, Riboflavin, Thiamine, Pyroxidine, Vitamin B12, Folic Acid, Choline Bitartrate and Biotin. Minerals include selenium, iron, cobalt, manganese, copper, magnesium, zinc, sulphur, sodium and iodine. Protein 14% (min), Fibre 1.5% (min), Fat 4.4% (min). Energy 16,342 Kj per Kg.